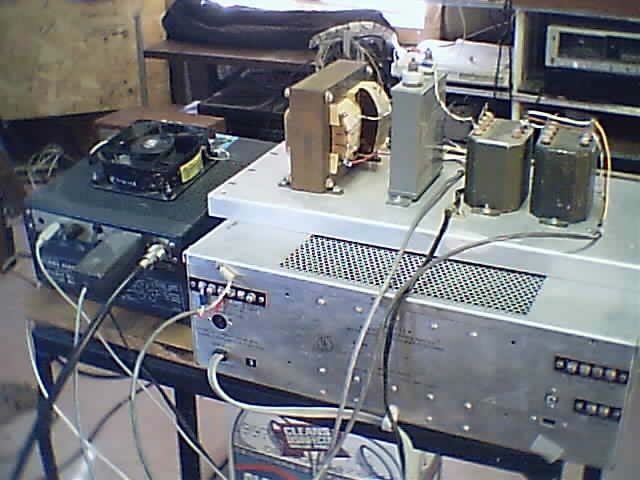 The HG-303 with its cooling fan. The larger tube is a 6146. The smaller tube is a 6CL6. The green cylindrical thing to the left of the 6146 is the plate choke. The red cylindrical thing below the plate choke is the output tank coil. 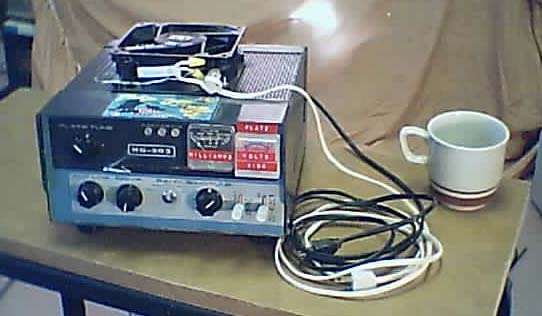 Both the plate choke and the tank coil were rewound for operation on 1710 kHz. The variable capacitor on the left is the plate tuning control. 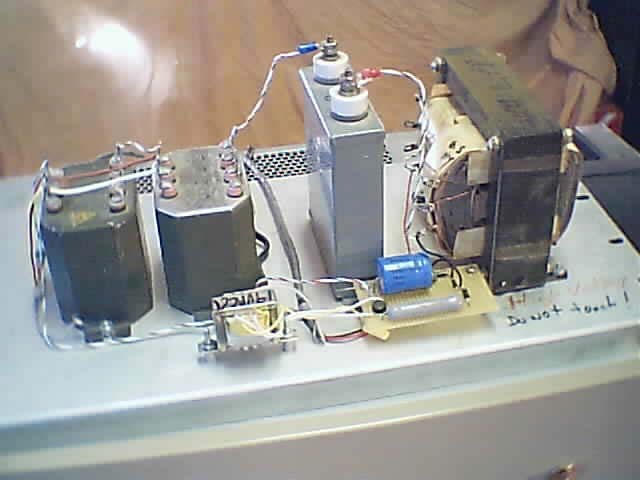 The variable capacitor on the right is the antenna load control. The power supply is at the rear of the chassis. 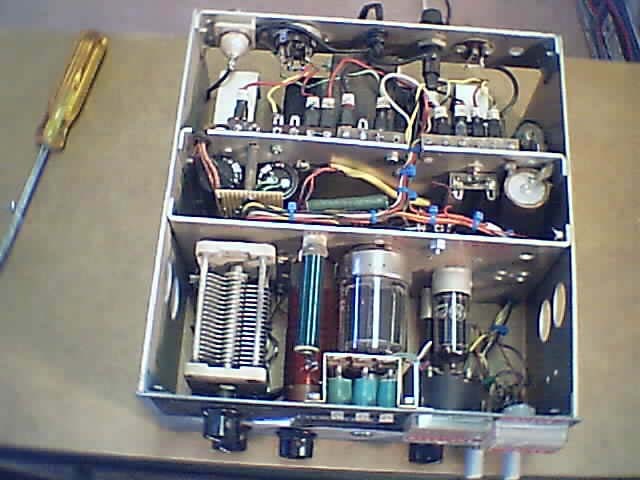 The modulation amplifier, a converted public address amplifier, is the brown thing to the left of the HG-303 transmitter. 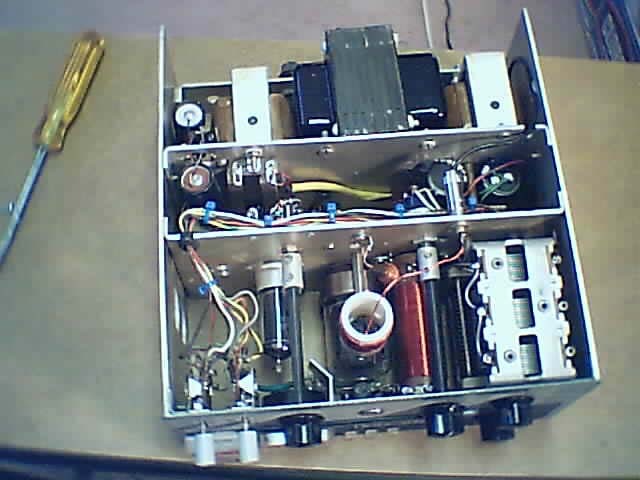 The 'modified Heising' modulator is on top of the amplifier. The thing on the right is a 53 Hy choke. The gray thing in the center is a 3 uF 2000-volt coupling capacitor. 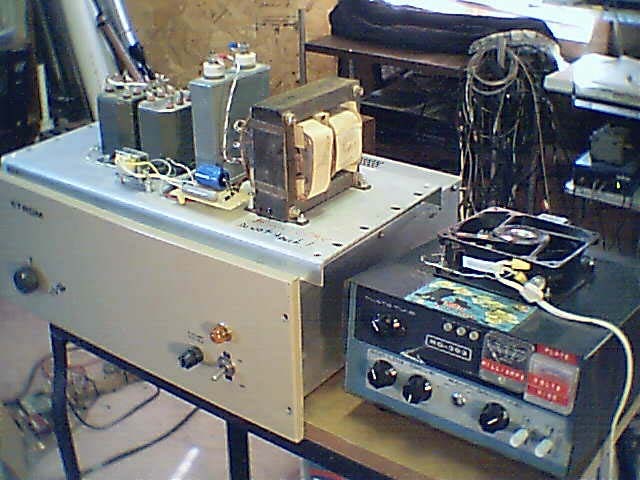 The impedance matching transformers are on the left. The components in front constitute a negative peak limiter circuit.